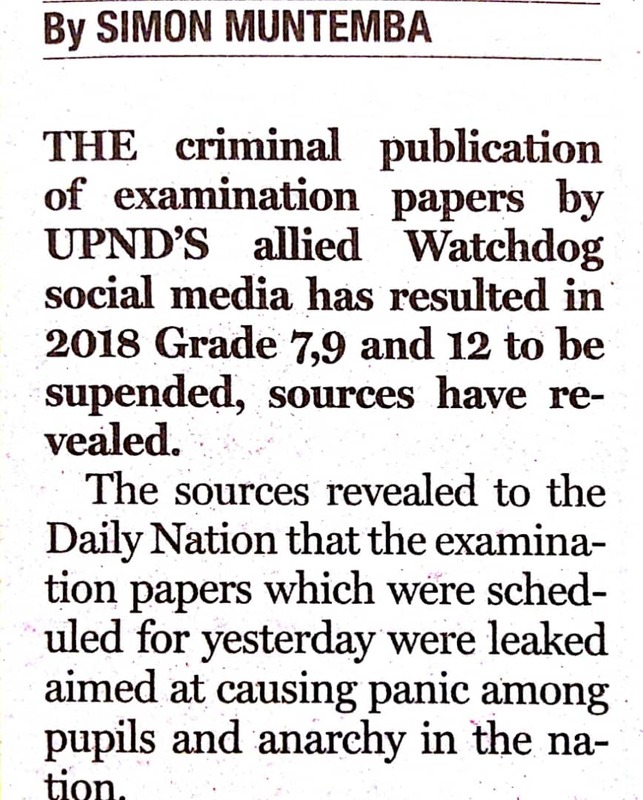 I don’t see anything foolish in telling the nation that a paper has been leaked to some well placed people who may come tops after that examination; may be keeping quiet would have been labelled as such. Bwana Roy. Of its frustrated, jelous, angry people doing that, UPND, but they forget that it affects their own children, their supporters and admirers (if any) as well! That’s how dull, foolish people can be!